In a baffling turn of events, Quentin Tarantino has dropped his lawsuit against Gawker only a week after filing a second complaint against the site. After his initial claim was dismissed by a federal judge as mere “speculation,” Tarantino charged back into court last week to claim that Gawker had, in fact, committed direct copyright infringement when it downloaded a PDF of the screenplay for The Hateful Eight onto its computers. The new claim also alleged that Gawker had conspired to commit copyright infringement by soliciting its readers for a copy of the screenplay—a screenplay that Tarantino made a big deal about dropping after it was leaked, but now might be making anyway. 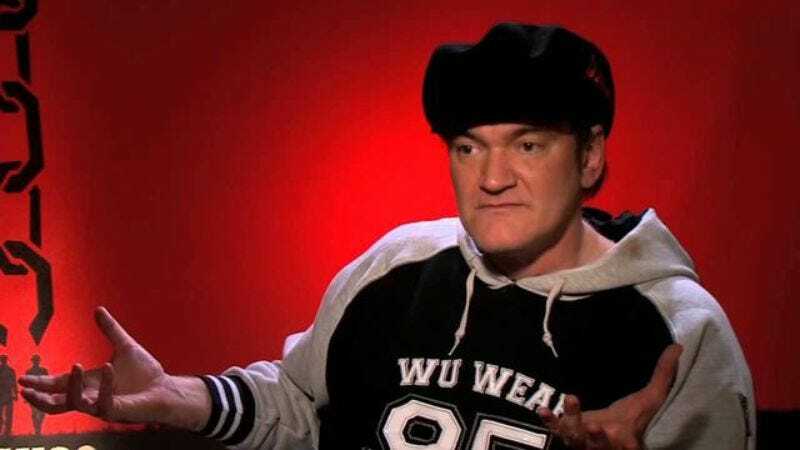 Then, as quickly as it had been filed, Tarantino dropped his suit before Gawker could even respond, leaving stunned passerby wondering as to the identity of that briefly glimpsed man in the Wu Wear hat. However, because the suit was dropped voluntarily and without prejudice, Tarantino retains the right to seek redress in the future—either personally, or through a child conceived in hate and raised for vengeance.